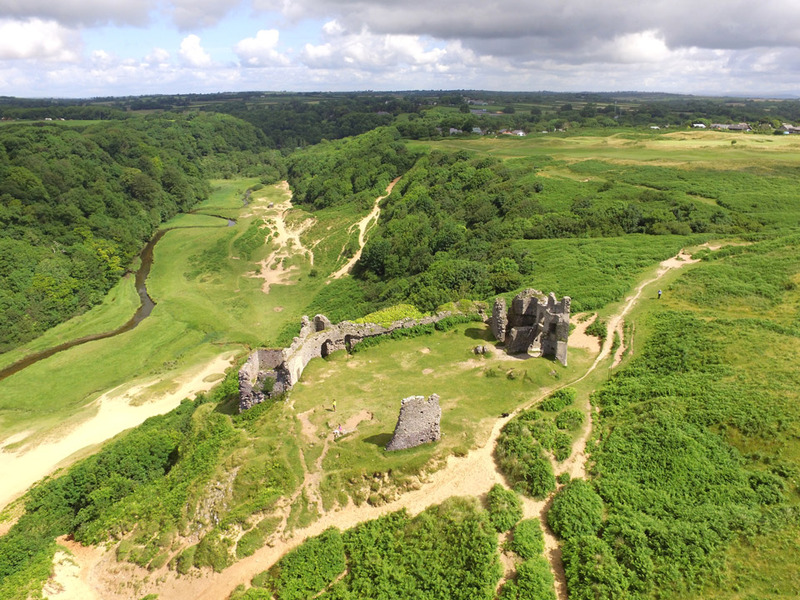 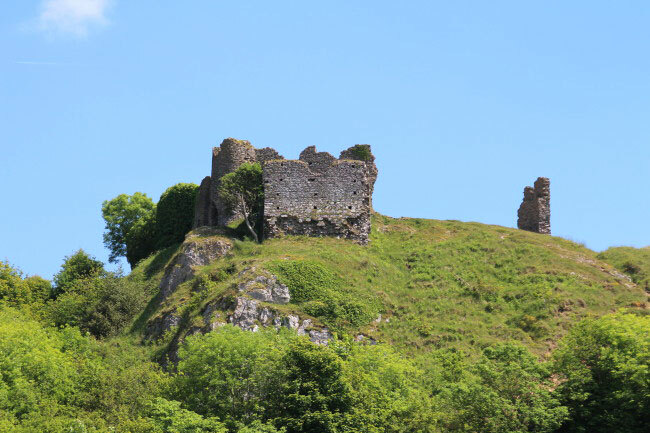 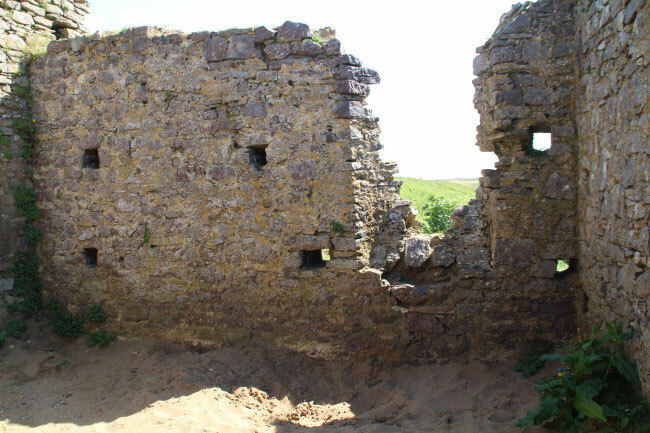 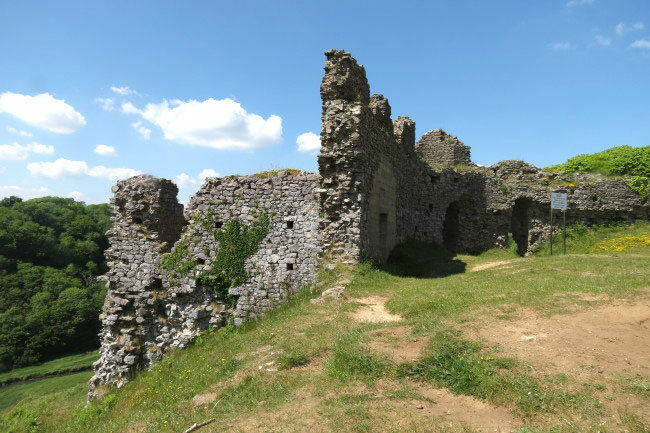 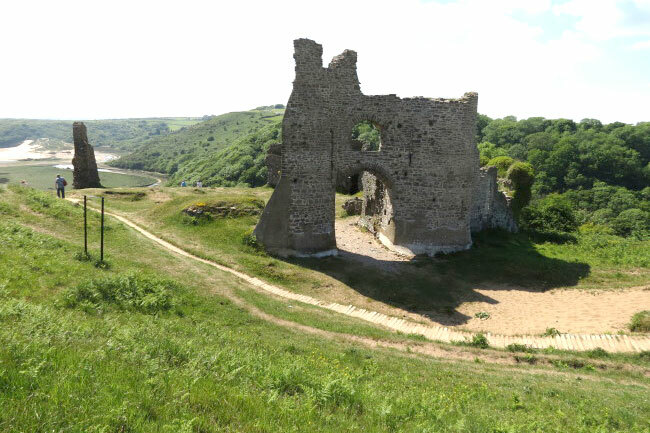 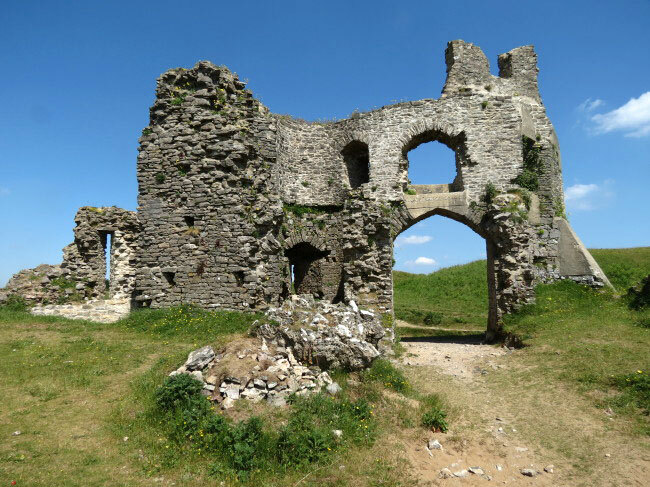 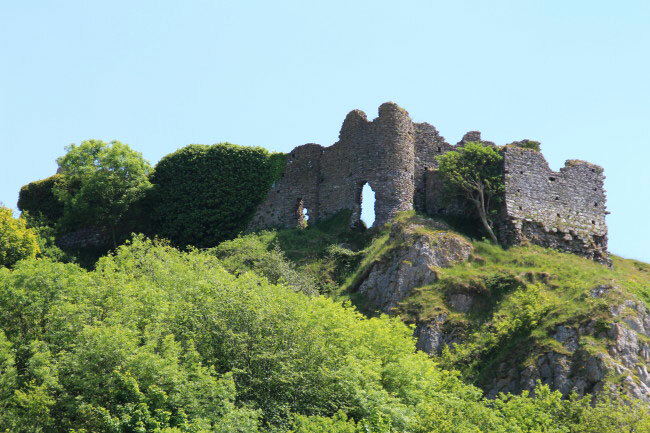 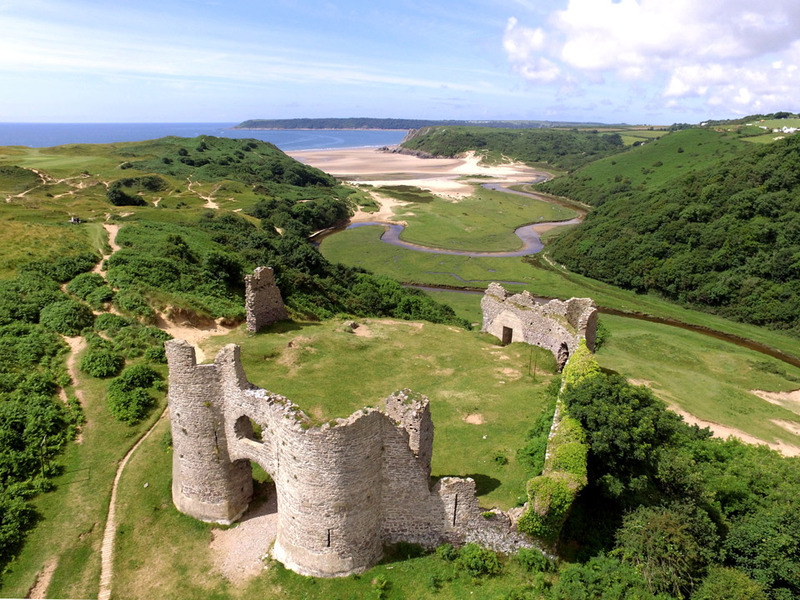 The first structure was an earthwork defence in the 12th century but the curtain wall and gatehouse were rebuilt in stone in the late 13th or early 14th centuries. 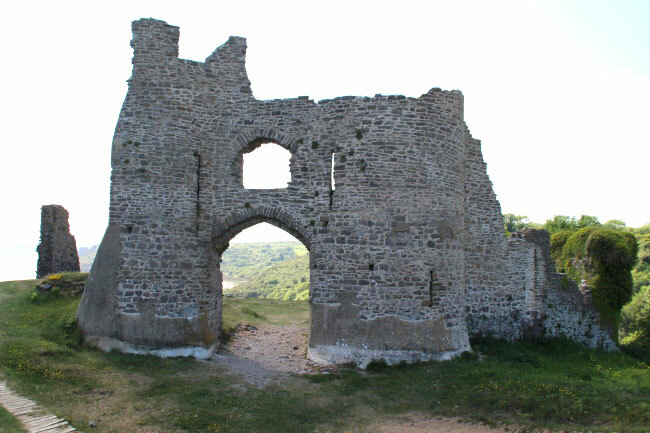 Only part of the walls and the base of the towers remain of this structure which had been abandoned by 1400. 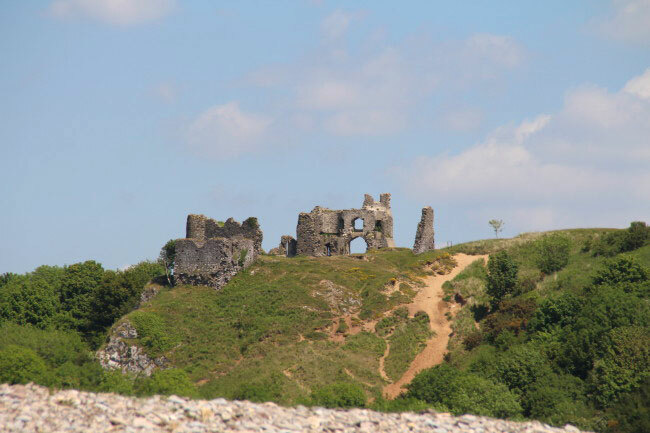 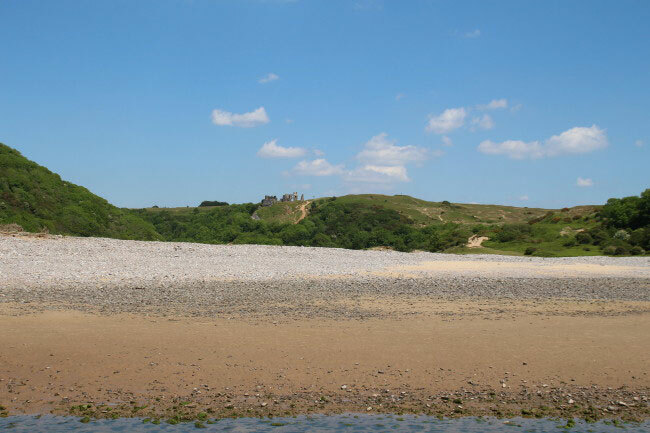 It is on the cliff, high above the sands.